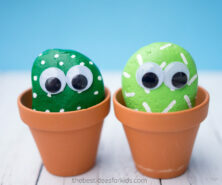 We’re wrapping up our last Winter-themed crafts before moving on to Valentine’s Day. 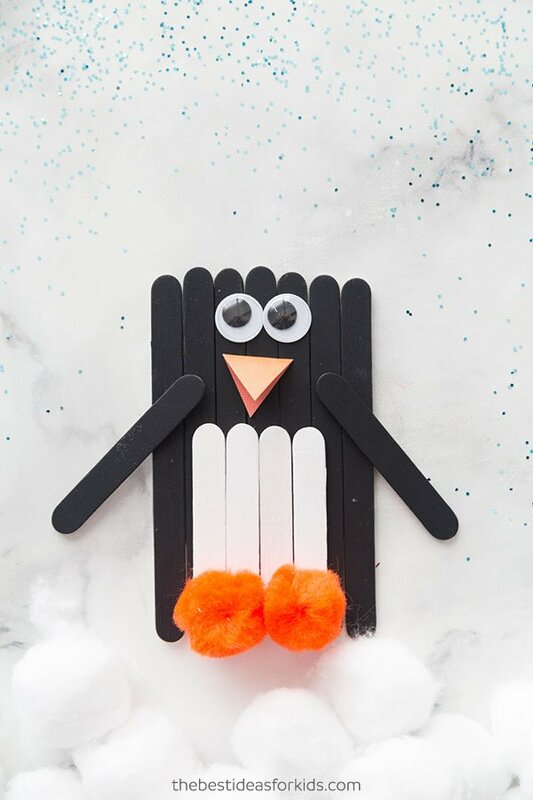 And to continue with our penguin theme, we have this easy craft made with popsicle sticks. 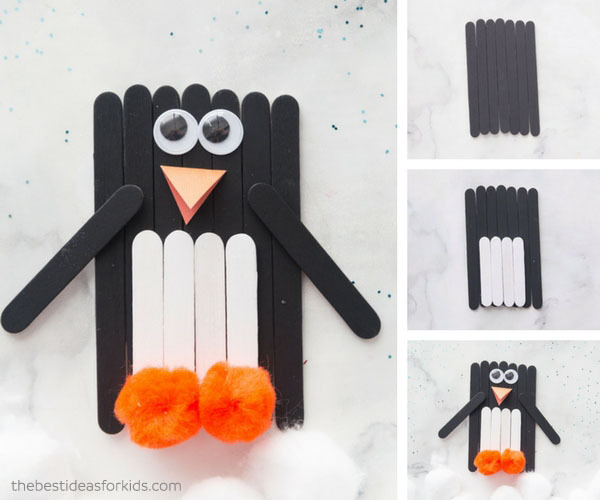 This popsicle stick penguin is such an easy and fun craft to do with the kids! And the best part is if you carry a good stash of popsicle sticks, paint, paper and pom poms, you can whip this craft up on a whim any time! 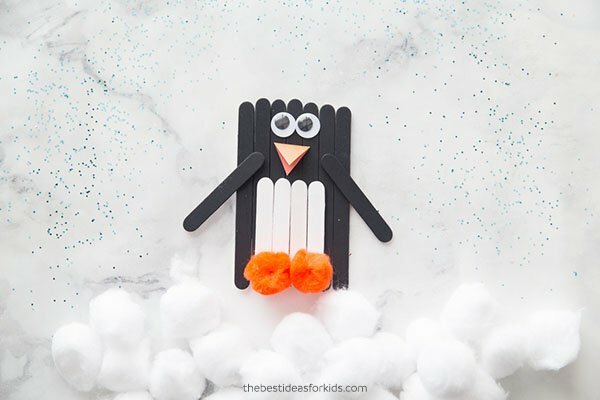 This craft stick penguin is easy and fun to do with the kids! Our kids loved playing with the craft afterward which is always an added bonus when you make something. And since we’re a little obsessed with penguins over here (if you haven’t seen our handprint penguin or penguin bookmarks you must) we couldn’t resist making these. 1. First you’ll need to paint your popsicle sticks. 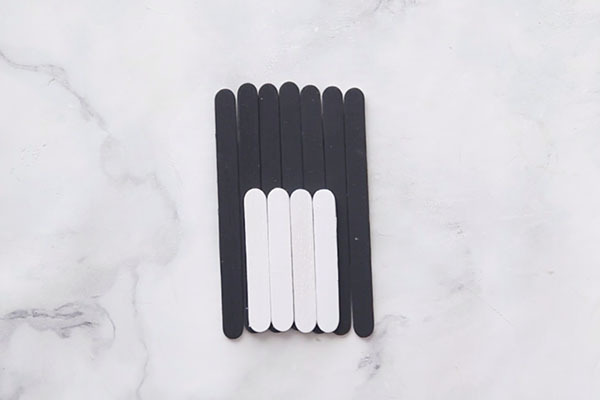 We used 7 regular popsicle sticks and painted those black, 4 white mini popsicle sticks and 2 black mini popsicle sticks. 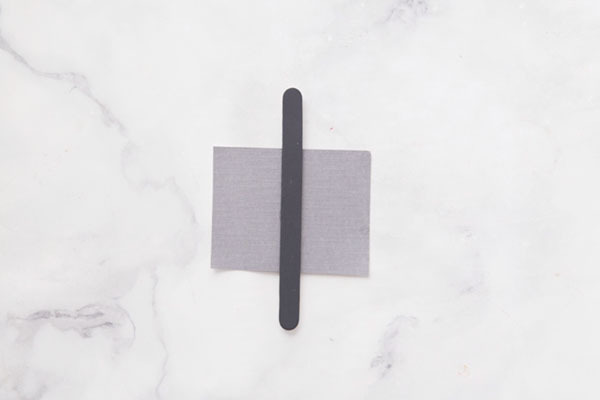 Now start gluing your larger popsicle sticks to a small piece of cardstock. This is so that the craft will be sturdier than if you tried to glue the sticks together from the sides. 2. Glue all of your large popsicle sticks down and then glue your white craft sticks on top. Center the white ones as best as possible. 3. Now glue on your two penguin flippers (small black craft sticks), large orange pom poms for the feet, googly eyes and the beak. To make the beak we used orange cardstock. First make a diamond and then fold over. And now you have your final popsicle stick penguin, isn’t it cute?! 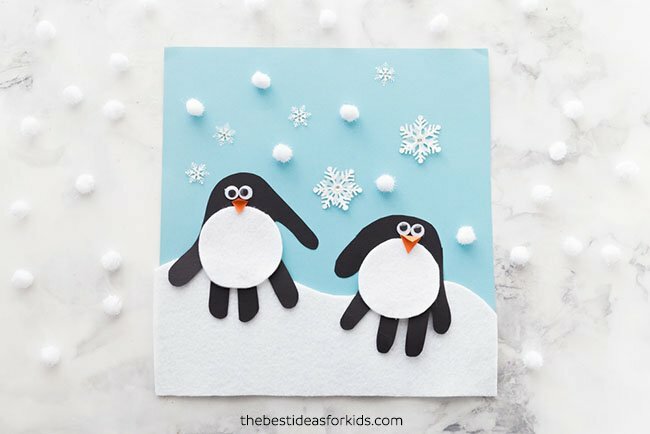 These handprint penguins are so cute! 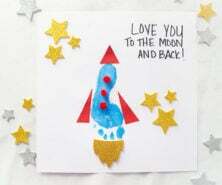 We love how they double as a keepsake too! 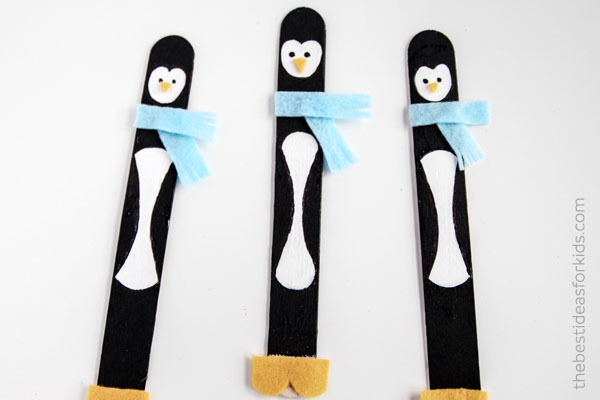 And these penguin bookmarks are perfect for making and giving as gifts!